I usually read the most during the summer. I love to spend some lazy time outside with a good book. When I go on holiday I need an extra suitcase for all the books I want to bring, also when I've packed my e-reader just in case something would happen to it. On a sunny summer day I never leave the house without something to read in my bag. I love reading in the sunshine, it adds an extra layer to the stories somehow. I'm lucky because I'm not the only one in my household who loves books. That means I can read as much as I want to. Holidays without books are unthinkable. Because of it we always check if there's a comfortable sofa and garden furniture before we make reservations. For this summer I don't have any plans yet, but I do have my pile of books ready to read. The books come before the reservations. Summer reading makes me happy. That doesn't mean I need to read cheerful books alone. I usually read the most difficult books during the summer. I can read a bulky classic in one sitting or I read an entire series of at least eight books in just a few days. When I'm on holiday I want to relax and reading something challenging next to all my easy flowing books is the perfect way to do that. Because Anniek and I would like you to have a wonderful summer as well one very lucky reader of our blog will receive a bundle of romantic kindle books from us. 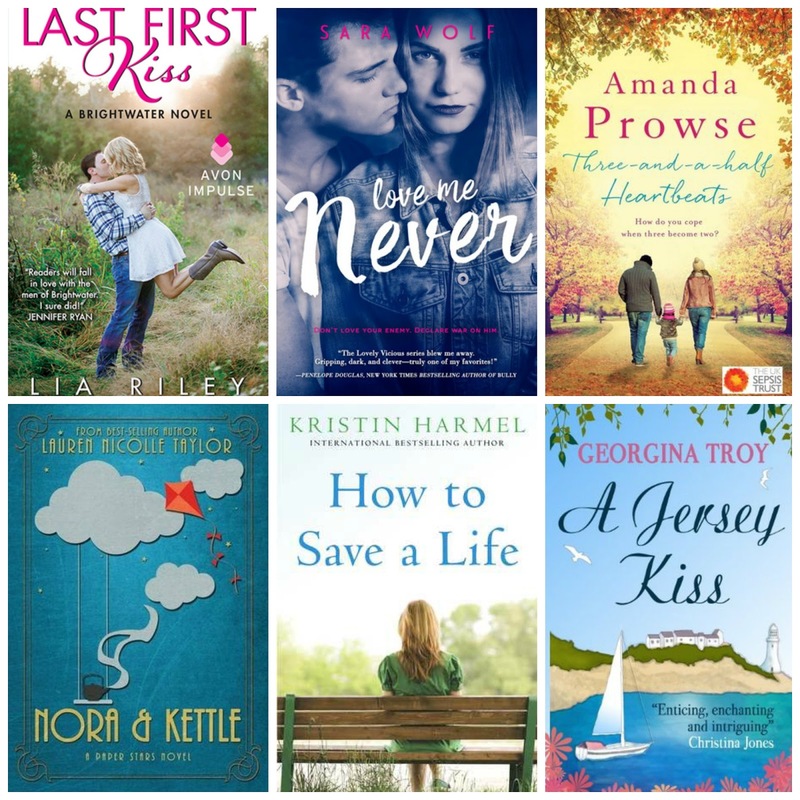 These six books are on my favorites list and I'm very sure you will enjoy them. I hope you will love lazy summer reading as much as I do. In case you don't win I still highly recommend these books. If you're on a different continent and it's winter where you are then enter this giveaway for a chance to win some wonderful books to cheer up your cold and dark winter evenings. The winner will be notified by email and has three days to respond (please make sure withloveforbooks@gmail.com is on your list of approved email addresses). All of our giveaways are international. I love sunshine. Books. Swimming. But these days I love spending time with our little family of three more than anything else! Relaxing by the pool and reading good books. Reading and spending time with family. My favorite way to spend your holiday: Shopping, eating awesome food, and sleeping! My favorite way to spend the holiday is knitting, reading, and watching anime. Curled up with a good book. Reading and hanging out with friends! Reading, relaxing, trying new foods! I love eating good food and trying local dishes. I love spending my holidays, relaxing and exploring. I dont go out a lot but whenever my sister is around, we stroll and watch the sunset by the beach where we once lived. Relaxing with a book on a beach. I love to spend my holidays outdoors cycling and seeing the children having fun in the garden and on the beach. Sitting in the sun with a good book. I used to love riding a mountain bike, hill walking, riding my motorbike, now I'll just listen to the birds and read. Pesky MS. Still, at least I can still enjoy reading and internet scrabble. Sitting in the sun, in peace, reading a good book! I like lots of swimming and reading and eating good food. My family is grown up so I love to spend time with them and my grandchildren and then being able to go home and sit with a god book on an evening. I like walking in the local countryside & then coming home to a book! I like spending time with my daughters and husband.